I am in the process of learning Python (slowly). Aside from the stuff I’ve already posted, one of my first projects was a simple way of banner grabbing. 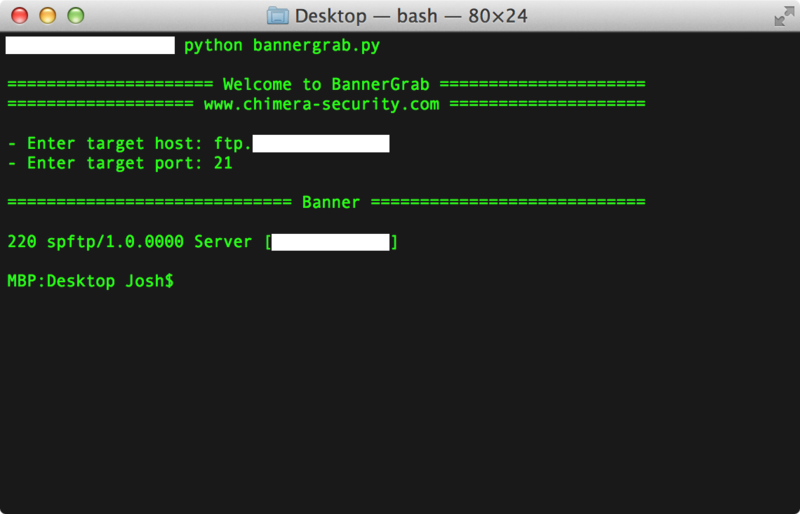 This script works for banner grabbing against applications such as FTP, VNC etc. This isn’t finished yet but I thought I would put it up here anyway. Still working on it so more changes to come, seems to be having issues with banner grabbing over ports 80 & 443. I think I may have to use the urllib module to accomplish this.. Previous Free Macbook Pro’s for everyone!